Additions to My Site = More to Explore! 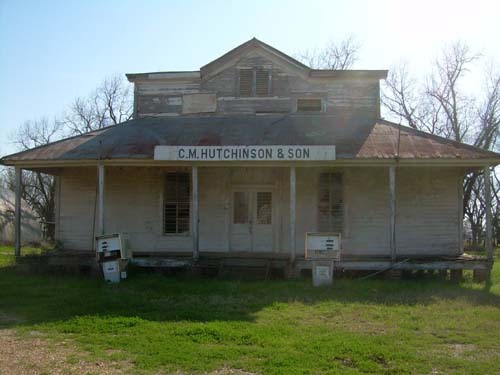 This old plantation store between Shreveport and Natchitoches, Louisiana, is where sharecroppers, who were paid with scrip, would buy what they needed from the plantation owner. I’ve always meant to add information on Lousiana and Arkansas to my site, but time constraints have never allowed me sufficient time to explore those areas as much as I wanted. Which is funny, because most of my family lives in eastern Texas and Louisiana. I decided that this year, I will include Louisiana and Arkansas into the “fold” – after all, my site is called Red River Historian. And the river certainly runs through those states, too! The Red River has a real presence in Louisiana’s history, and althogh my focus has been on western history, I’ve made the committment (and it wasn’t hard to committ, anyway) to learn and discover more about southern history. It’s strange how until recently, the history of the US South has not been a big interest of mine. I think it stems from the proliferation of histories that deal with the South. The South is arguably the most-studied region in US history, especially the antebellum and Civil War periods, and somtimes it’s hard to wrap my head around it. I’m not a big Civil War fan, so I will continue to “gloss over” the war except when necessary, but I am interested in the periods of Americanization after the Louisiana Purchase. So this is good news… it means I have a lot more exciting things to discover!